Gerry Boyle (Brendan Gleeson) is an amiable, if unconventional, Irish policeman. After a murder occurs in his small coastal town, Boyle finds himself at the centre of a major drug smuggling investigation. In order to solve the murder and catch the drug smugglers, Boyle has to work with FBI agent Wendell Everett (Don Cheadle). The pair form an uneasy, yet deeply funny, partnership. Click Here To Receive Your Free Film Newsletter! 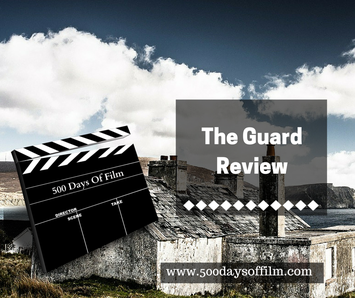 The Guard is a brilliant film that I thoroughly enjoyed. The characters were so well portrayed and I laughed all the way through. I am learning that much of film criticism relies on context. What has come before is often as important as what you are watching on the screen in front of you. While I am getting better at recognising context in the films that I watch, I have to admit a lack of knowledge of the Irish crime comedies. I am thinking of In Bruges and Calvary here in particular. These two films are on my list and, if my enjoyment of The Guard is anything to go by, I can’t wait to watch them. What I really liked about The Guard is its off beat comedy. It is really, really funny. You shouldn’t like Gleason’s Boyle but, despite his bad language, extremely non-PC opinions and pretty sleazy personal life, you really do. This is because, for every moment he says or does something awful there is another that shows that he is not what he appears to be and that, behind it all, he is more intelligent and has stronger morals than most of those around him. The Guard was a real pleasure to watch and is still making me smile. Don Cheadle is so great in this film - his reactions to Boyle's outrageous comments are fabulous! According to the BBFC, The Guard features close to one hundred uses of strong language. I loved the group of drug smugglers - particularly when they start to talk about the niggles of their job.